Diamond Premium Edge Large Breed Puppy Lamb & Rice 35 Lb. 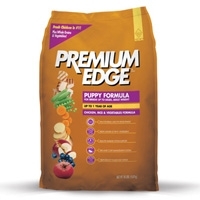 Premium Edge Large Breed Puppy Lamb, Rice and Vegetables Formula is an ideal formula to meet the special needs of large and giant breed puppies up to one year of age. C ontains the correct amount of fat and calcium for ideal bone and joint growth. 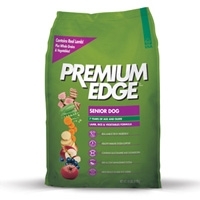 Diamond Premium Edge Lamb & Rice Senior Dog 18 Lb. Premium Edge Senior Dog Lamb, Rice & Vegetable Formula has a moderate protein and lower fat level to maintain good body conditions. Added taurine for heart health and L-caritine for a healthy metabolism. Diamond Premium Edge Lamb & Rice Adult Dog 35 Lb. 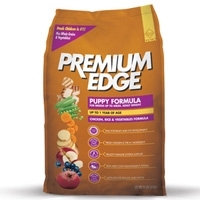 Premium Edge Adult Dog Lamb, Rice & Vegetable Formula is for moderately active adult dogs. Contains a higher level of Taurine for heart health, and glucosamine and chondroitin for joint health. 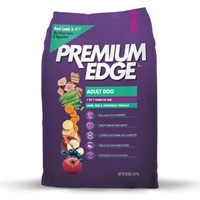 Diamond Premium Edge Lamb & Rice Adult Dog 18 Lb. 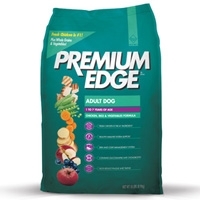 Diamond Premium Edge Chicken & Rice Adult Dog 18 lb. Premium Edge Adult dog Chicken, Rice & Vegetable Formula is for moderately active adult dogs. With added glucosamine and chondroitin for joint health.